We are talking about a nocturnal raptor protected and almost extinct by the hand of man, due to a mixture of fear, superstition and ignorance. Yes, it is true that it is the only bird to which the only case of having killed an adult man is attributed, by tearing his jugular with its powerful claws, but the owl just defended its nest and the man, believing it harmless, did not heed the owl’s warnings. The plumage of the owls is not the same as that of the rest of the birds; Its feathers are much softer and fluffier, which reduces the turbulence of the air between them, considerably reducing the sound of its fluttering. In this way, practically none of its prey is able to hear the owl approach until it is already on top. Among their prey are insects, fish, mice, rabbits, snakes, small foxes, birds and other raptors and, lately and due to the constant deforestation and urbanization, they are being observed hunting domestic cats. Its camouflage is quite good and is associated with one of its peculiarities: they are extremely defensive with their nests. In this regard, owls have been filmed having caught a prey in a valley at mid-morning and remaining immobile on the ground with the dead prey until nightfall, so as not to reveal to possible predators or usurpers of nests the position of their nests and offspring. In the same way, it is known that in times of reproduction they rarely build nests, but occupy old nests in stumps of trees, or that they usurp other nests by killing their original owners and their young. It is known that females can lay between 1 and 14 eggs but, generally, they do not lay more than 4 eggs. The incubation, which is the task of the female, can last between 4 and 5 weeks. In extreme environments it has been observed that, to ensure the survival of at least one of their chicks, the female kills the weakest one to feed the brother. 1. 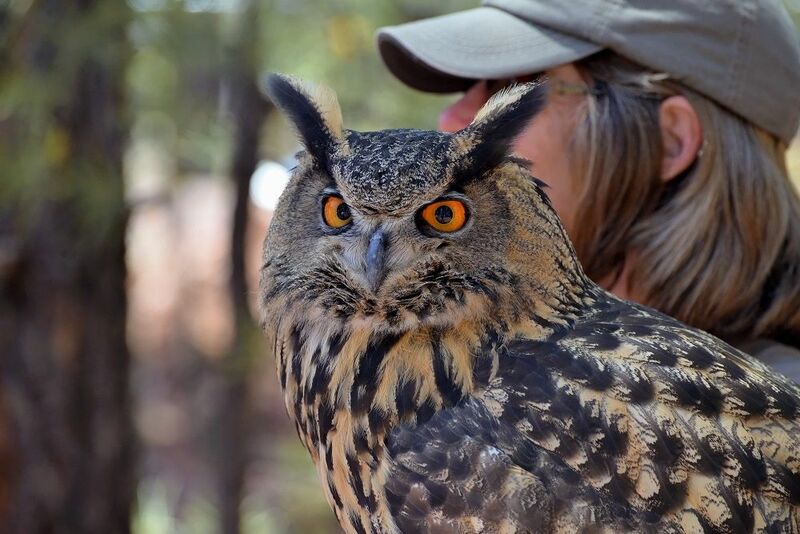 The sound that these birds emit is called hoot or ululate. 2. They usually have only one partner in their life. 3. They drop a dead prey at the feet of a female as part of an improvised bridal ceremony. 4. They can rotate 270º their head in the longitudinal axis, towards both sides. 5. They do not have eye mobility. 6. The weight of their big eyes equals 1/3 of the total weight of their head. 7. They have one of the best night eyesight but even they can not see clearly at closed night. 8. Their sight is better by far than by close. 9. They have small whiskers next to their beaks that, like the whiskers of cats, serve to expand their sense of smell. 10. They have an extremely sharpened ear. This Article has Earned 3209 Tokens. Thanks to you for stopping by here! 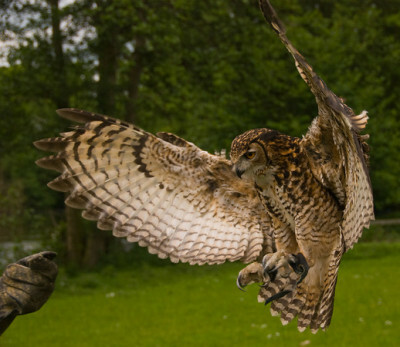 I have always been afraid of Owls.. but this is a great article, cheers @dresden! You have to respect them, yes, because they can become very dangerous if they are upset. Great article! I love them, I’m really sorry that they are almost extinct, humans are terrible! We have to be more careful with the entire environment around us. Interesting, beautiful birds. Thanks for sharing. Nice to see you over here again! Thanks to you for stoping by my blog! Thank you very much, Ilia. the eyes of these birds have always fascinated me. cool post! They have a really a good sight thanks to them! The Royal Owl is a beautiful bird. It really is an extraordinary animal with a lot of respect deserved! Interesting stuff. We’re just trouble as a species and no wonder all animals run, or fly away from us. That’s right; as a species, we’re damaging too much this planet; I hope that we don’t completely extinguish the royal owl, as we already did with many other animal species. WOW, great images (that camouflage,,, amazing) and loaded with INFO,,,,, so their eyes don’t move,,, that’s why the neck twists so limberly. Learning is FUN !!!!! Great article, well compiled and amazing pictures of this owl, human beings are the destruction of many animal species. Very sad. This is really a beautiful bird, thank you @Miguel. I will have to check back later to rate your article. I’m glad that you enjoyed it reading it as much as I did writing/editing. No problem for the rating; just with your visit I’m happy.